HP USB Disk Storage Format Tool can format any corrupted USB flash drive or Memory card.Download all versions of hp disk format tool software and repair write protected and unformatted USB flash disks. 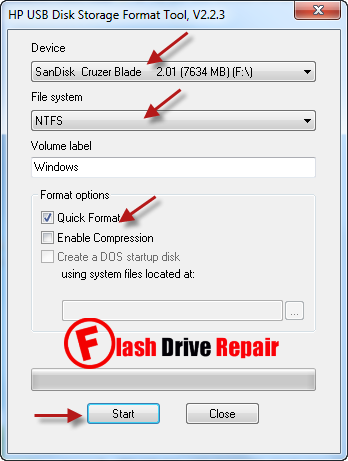 Hello my dear friends , Today i will explain how to format any corrupted or write protected flash drives.Sometimes when you format your flash disk by normal windows format tool , you got this message "Windows Unable to format disk " or When you open your flash drive , you got this error message "The disk is write protected " and other flash format problems . To repair and format any flash drive or memory card , you must try this tool first "HP USB Disk Storage Format Tool ,if not working this means that your flash disk will not be repaired only by upgrading firmware so in this case you will use Chipgenius software or USBDeview V2.30 utility to determine your flash drive information and search about your Suitable Controller Firmware ,please read this article "USB flash drive repair software guide " . HP usb disk storage format utility has been designed for HP USB drives and it's a free format utility .HP USB Disk Storage Format Tool Support formatting HP Drive Key or Disk on key USB devices and support both low level and high level format so you can format your flash disk by FAT ,FAT32 and NTFS file system .HP disk format tool also support create bootable USB drives . HP USB Disk Storage Format Tool V 2.0.6 (SP27213) requires setup in your PC . HP USB Disk Storage Format Tool V2.1.8 (SP27608) requires setup in your PC . 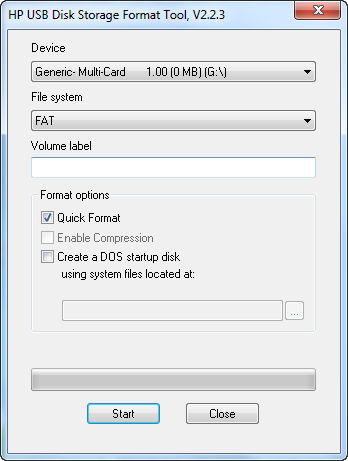 HP USB Disk Storage Format Tool V2.2.3 Portable Version . First Download hp usb disk storage format tool 2014 all versions.rar from download links below . Insert corrupted or write protected memory card or flash disk to your USB port . Open hp usb disk storage format tool v2.2.3.exe or any version of the three HP disk format tool versions . Choose your memory card or flash disk then choose format file system . Click Quick Format then Click start to begin reformatting flash drive or memory card . My Hp 16gb. V210w. Not formatted by this software. It showing genetic multicard 100 md. Nothing show. I tried hp usb tool, rufus, toolkit recovert. Previously i used wondershare software for making flash drive with this pendrive. How can i recover my window? Please provide Asolid AS3257H MPTool. My HP v210w 8GB showing 0byte disk size.